Japan has been an early and vigorous adopter of PostgreSQL (back in 2006, when PostgreSQL was still emerging from obscurity in the western hemisphere, I noted that in Tokyo bookstores, PostgreSQL books outweighed MySQL ones by about 5:3), and it’s no surprise that by nationality, only the USA and Germany have more committers. 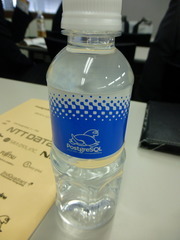 The Japan PostgreSQL User Group (JPUG) has been around a while too and is one of the oldest and most active worldwide (and has been around long enough to have established a Japanese logo for PostgreSQL which is often used in place of Slonik [*]) . 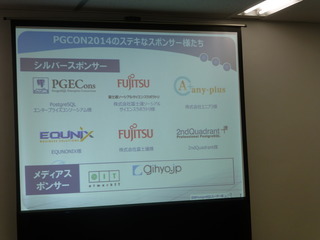 This year JPUG celebrates its 15th anniversary, and the 2014 conference – held in Tokyo on December 5th – was the largest yet with over 20 speakers, 5 (five!) parallel tracks and around 280 attendees. Continuing a tradition started in 2012, the keynote speaker has been a foreign guest, and this year’s speaker was 2ndQuadrant’s very own Simon Riggs, who gave a well-received talk about the open source development process and PostgreSQL. (The interpreter did a fantastic job despite the occasional idomatic diversion from the script). 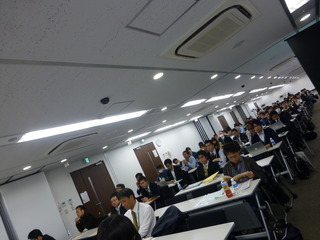 A key theme of this year’s conference was international exchange in general, and Asia in particular. 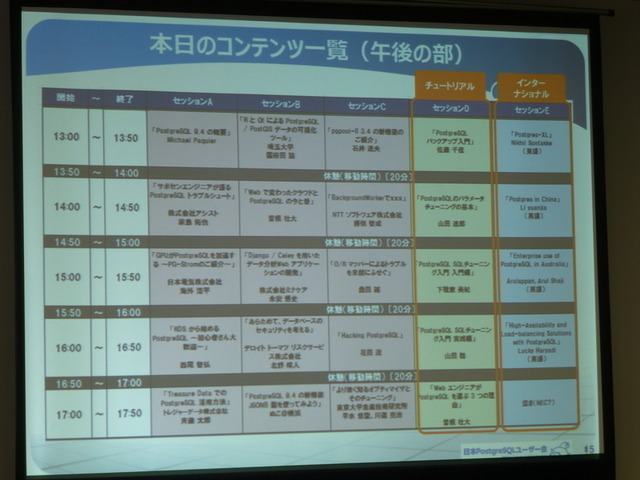 As you can see from the schedule below, apart from the keynote speech there was an international track (rightmost column) with talks in English by speakers from a variety of Asian countries, and it’s hoped this will develop into a PgCon Asia. 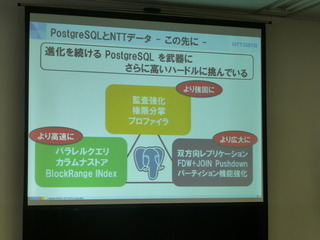 Another theme to emerge was the need for increased communication between the Japanese PostgreSQL community and the rest of the planet – Japan is home to many interesting developments which often go unnoticed in the wider world – and 2ndQuadrant hopes to play a part in improving their visibility. Finally, no modern conference is complete without lightning talks, which this year took place during the post-conference party. By an ancient Japanese tradition dating back to the earlier part of this year, each speaker (including yours truly, who burbled on about the ideas contained in the preceding paragraph) received a pie in the face (tragically no photographic evidence is available). 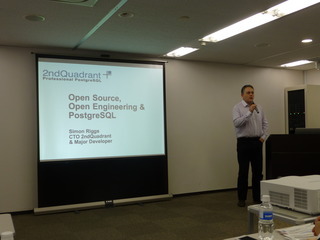 On behalf of 2ndQuadrant I’d like to thank JPUG and the conference organisers for their efforts in putting this conference together and Satoshi Nagayasu in particular for his work on the international track. [*] The choice of turtle is not entirely random – back in the days of PostgreSQL’s predecessor projects, a turtle was used as the INGRES mascot and retained for POSTGRES. The precise reasons for its adoption in Japan appear to have already been lost in the mists of time, but a popular theory suggests a blue elephant was unsuitable due to similarities with the symbolism of the cult behind the Sarin gas attack on the Tokyo underground network.